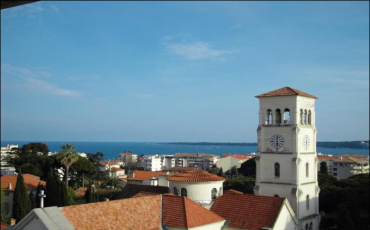 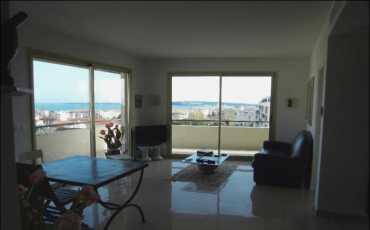 This roomy and bright 3 bedroom apartment is located on the top floor of the building and boasts a large terrace with sea views. 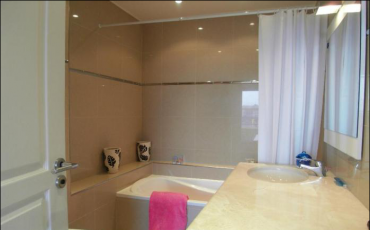 The first bedroom has a double bed and the second bedroom has a single bed and they share a bathroom with a bathtub, shower and toilet. 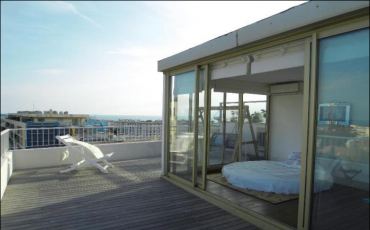 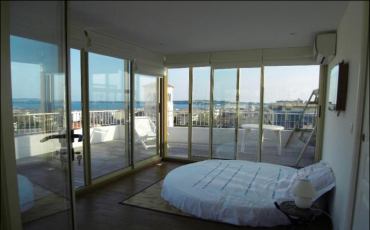 The third 'penthouse' bedroom has a round, double bed, its own bathroom with shower and toilet, and incredible views. 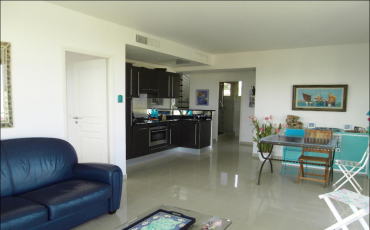 The open kitchen and spacious living room open up to the large rooftop terrace.